Director: Applicants who have completed a Master’s degree in Law with specialization in the field of International Law and/or International Relations or equivalent from a recognized Institute for UPSC Sarkari Naukri 2019. 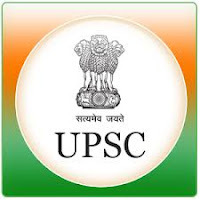 Assistant Hydrogeologist: Applicants who have completed Master of Science Degree in Geology or Applied Geology or Geo-exploration or Earth Science and Resource Management or Hydrogeology or Master of Technology in Engineering Geology or equivalent from a recognized Institute for UPSC Sarkari Naukri 2019. Log on to UPSC careers page at the official website www.upsc.gov.in. Complete the UPSC Jobs Application Form with the essential data. Take a print out of UPSC Sarkari Naukri 2019 online application form.